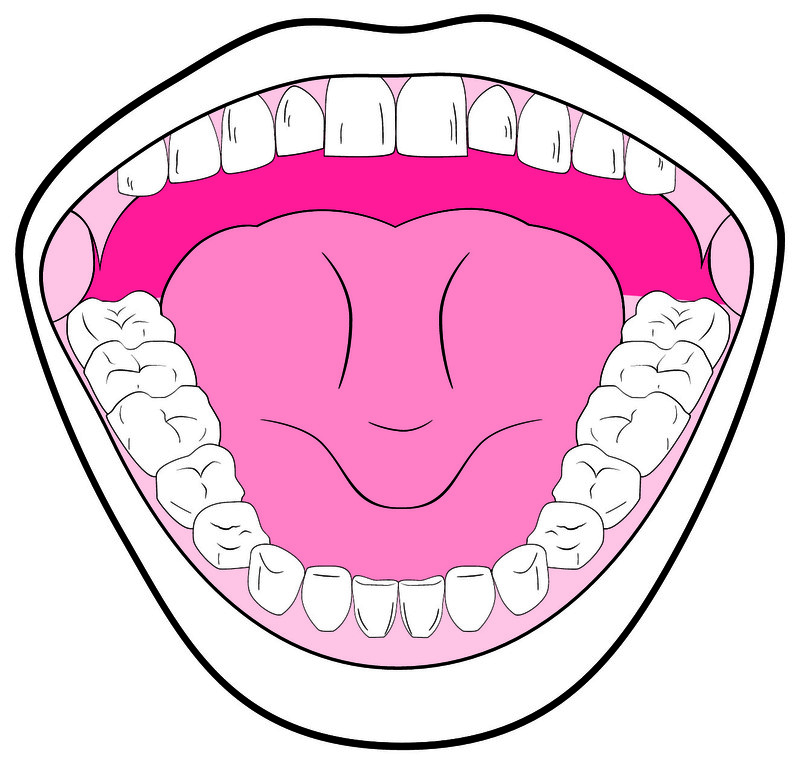 The mouth is the first part of the digestive system. Which important actions take place in here? What connects our mouths to our stomachs? Read this information. It will help you answer questions 6–8. 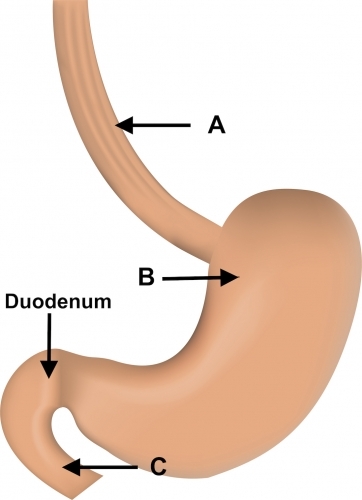 After leaving the stomach, the partly digested food enters the duodenum, the first part of the small intestine. Digestive juices, made in the pancreas, enter the duodenum and help to further break down the chyme. The food molecules then pass through the rest of the small intestine. This is where the absorption process takes place: nutrients and minerals are absorbed through the lining of the intestine into the bloodstream. From here the blood passes through the liver, which cleans the blood, removing any toxins (poisons). The liver also makes a substance called bile which helps to break down any fats in our food. The gall bladder stores the bile that is made by the liver. Where are the food molecules absorbed into the body? What do the nutrients and minerals get absorbed into? 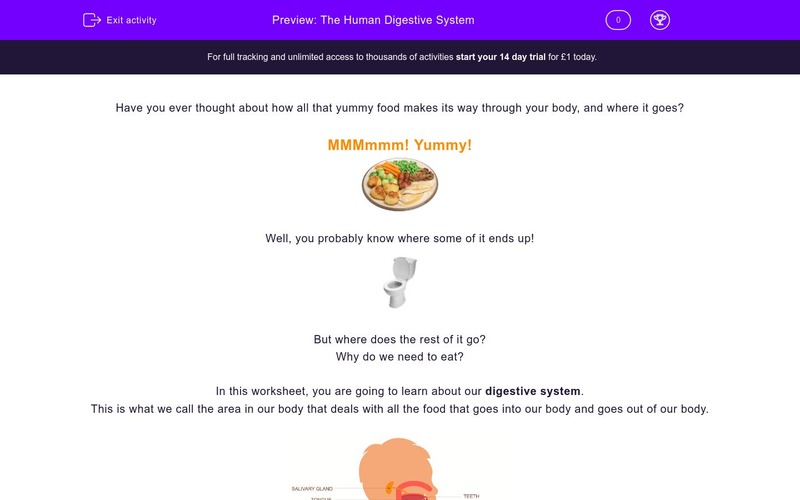 Undigested food passes out of the small intestine, into where? What do you think happens in the large intestine? Our teeth break down the food into smaller pieces. Enzymes in saliva (spit) also start to break the food down. Once the food has started to break down we can taste it on our tastebuds. 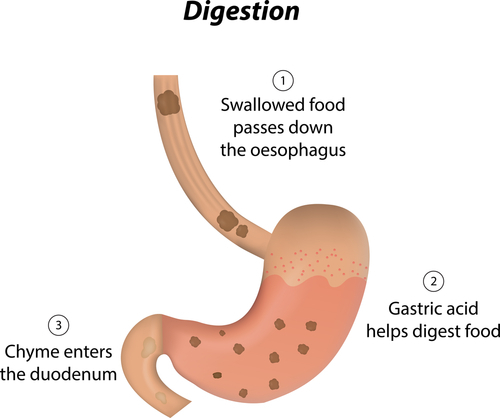 We swallow the food and it passes into the next part of the digestive system. 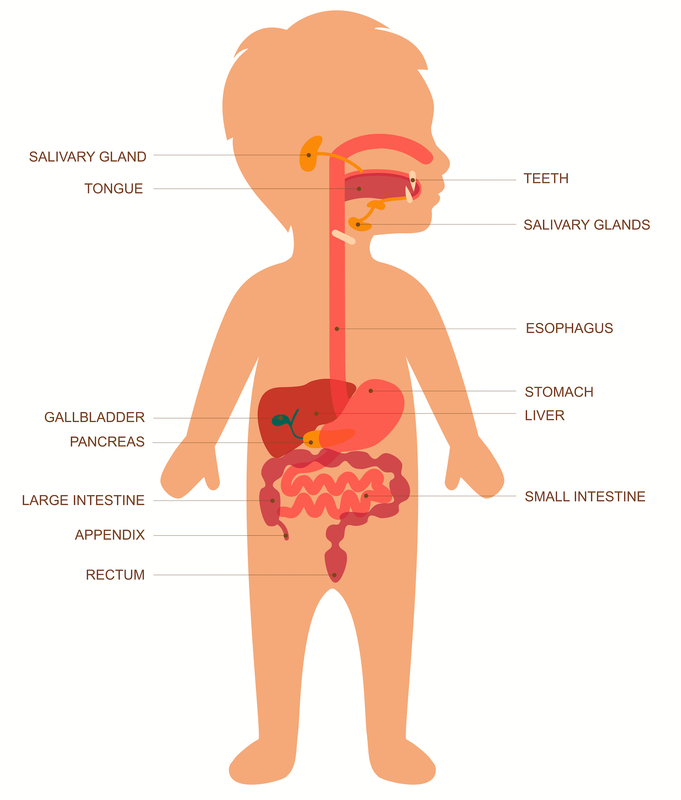 The esophagus or oesophagus is the tube that connects our mouths to our stomachs. Gastric acid is made in the stomach. 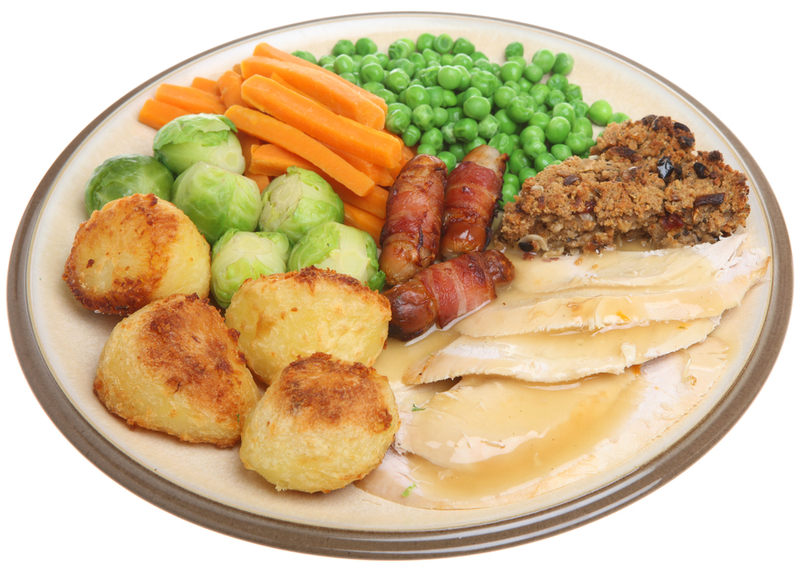 It helps break down the food in your stomach into digestible molecules. The churning action of your stomach also helps break down the food. The thick liquid of partly digested food and molecules is called chyme. The large intestine is the final section of the digestive system. Once the chyme reaches your large intestine, there are hardly any nutrients left. 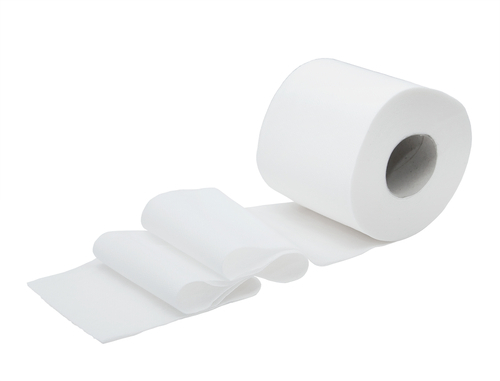 However, the large intestine still has an important job to do: it takes any leftover water in the chyme and reabsorbs it into the body. 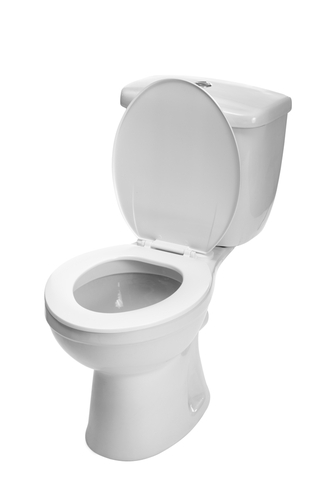 Any undigested food then becomes hard, because the water has been removed. We call this: faeces (poo). Bacteria in the large intestine also try hard to digest any final nutrients into the body, before we go the toilet and it is too late!